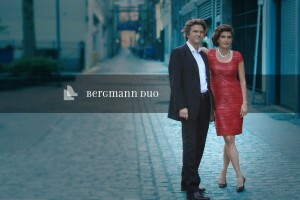 Bergmann writes in a uniquely original voice that straddles the best of the classical and jazz worlds”. For the last 20 years, he has enjoyed an active musical career as a performer, composer, improviser and teacher. He has written numerous works for two pianos, film, theater and cabaret productions, as well as choral and chamber music. Marcel’s compositions include works for solo piano, duo piano, piano trio, chamber ensemble, songs, choir, chamber opera – as well as music for film and theatre/cabaret projects, and electroacoustic media (soundscapes). He fuses a variety of stylistic influences- ranging from minimalism and 20th century avant-garde to jazz, pop and world music into his own distinct musical language. Marcel’s skills as both, a performer and improviser in a variety of styles and genres have enabled him to be avid arranger. Over the past couple of decades he has arranged a considerable number of works-largely for two pianos and piano duet, but also for chamber ensemble. The repertoire spans from Bach to Bernstein (West Side Story) and Brubeck, from Joplin to Gershwin to contemporary jazz artists, such as Chick Corea and Pat Metheny. His arrangement of Mike Oldfield’s pop classic, Tubular Bells for 4 pianos was released on the Brilliant Classics label. His arrangements for chamber ensemble include pieces by Kurt Weill and Hanns Eisler, as well as John Lurie and the Lounge Lizards. "fragile, delicate work...raw and unvarnished...powerful"
hit-earning a rousing standing ovation from the audience…. Which brings us to Bergmann’s version of Tubular Bells — seamlessly performed with great precision by all four pianists. The homogeneity of instrumental sound that smoothes out the stylistic juxtapositions of the Oldfield original — rock in close proximity to Celtic, or Philip Glass-like minimalism, for example — makes it almost seem like a different piece, and a piece, moreover, that cries out for a strong visual component. The second work was Marcel Bergmann’s Incessant Bells, performed by Marcel and Elizabeth. It’s an attractive, layered piece whose ostinato textures — motifs repeated rapidly, over and over — are strongly reminiscent of the subtle pattern changes in minimalist master Steve Reich’s music, where a shift of rhythm and emphasis brings out new motifs, new things for the ear. Local chamber group The Land’s End Chamber Ensemble , led by Onalea Gilbertson, Elizabeth and Marcel Bergmann, teamed up with a group of singers who live in the Drop-In Centre, to create one of the more gorgeous and memorable performances of the 2010 High Performance Rodeo. 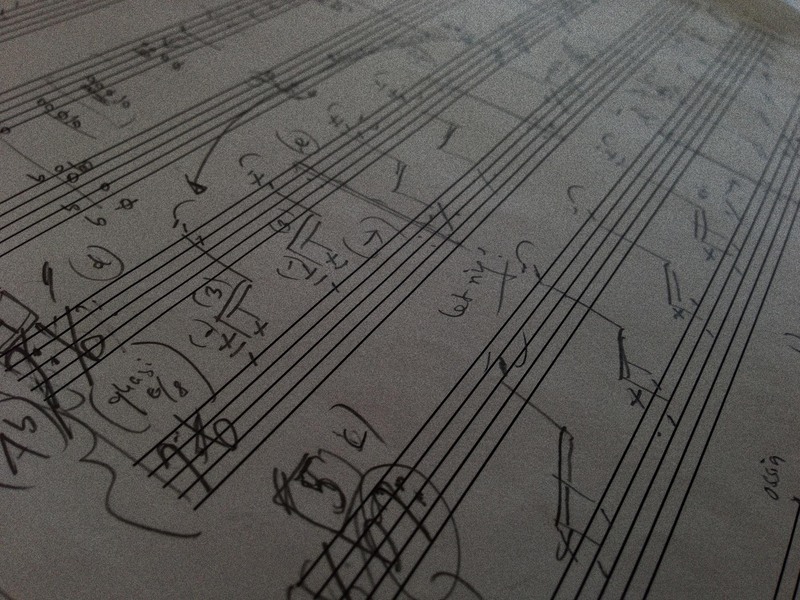 The competition’s newly commissioned score Urban Pulse by Marcel Bergmann was a delightful essay in piano jazz. Combining strands of boogie woogie, Ravel’s Gallic blues, and Dave Brubeck’s Bach-inspired counterpoint, Bergmann writes in a uniquely original voice that straddles the best of the classical and jazz worlds. The Yoshie and Takashi Duo played this winning score superbly. Their high voltage performance combined funky soul and pianistic fireworks with equal enthusiasm. ……..As their titles would lead one to expect, Marcel Bergmann’s Morning Train and Midnight Journey conjure the motor-motion of locomotive travel. Both of these pieces create a powerful atmosphere, and are not restricted to a relentless pounding of keys. Midnight Journey in particular has a sense of echo and distance, as well as a highly satisfying structure which builds to a remarkable climax. The gamelan effects of McPhee are never too far away in Bergmann’s pieces, and this is in particular true of Incessant Bells, which works with developing patterns over largely pentatonic scales, creating another strongly atmospheric piece. Boogie Mania develops from formless-ness, a rolling bass which reminded me a little of something like Ligeti’s Vertigo in reverse. This works into a ‘boogie’ which is terrific fun…..
…and an attractive curtain raiser by Marcel Bergmann, Midsummer Flower. …a new work was added into the mix. The substitution proved welcome and apt. Bergmann’s Double Spiral for two pianos implicitly connect both Stravinsky and Orff to contemporary practice, and was given a sensitive, assured Canadian premiere. ….It was a crowd pleaser with hints of Gershwin works such as Rhapsody in Blue and American in Paris….the work was a definite hit- earning a rousing standing ovation from the audience….